Straighter teeth aren’t only great for your self-confidence – they can also dramatically improve your oral health and your smile’s ability to function! That’s why Dr. Melvin Pierson offers several excellent orthodontic treatment options right here at his Sicklerville, NJ practice. Our team will be happy to review these choices in greater detail with you so that you can select the one that best fits your personal needs and goals. All you have to do is contact us today at Pierson Dental and schedule your first consultation. We look forward to meeting you! FASTBRACES technology was first introduced to the world in 1992, and since then, both children and adults have been able to reap the valuable benefits of this truly innovative orthodontic system. Today, Dr. Pierson is only one of four providers in the South Jersey area for FASTBRACES, and he looks forward to helping you enjoy a better, brighter smile through the procedure. 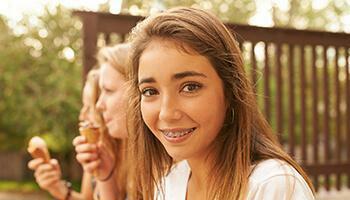 How is FASTBRACES different from traditional braces? 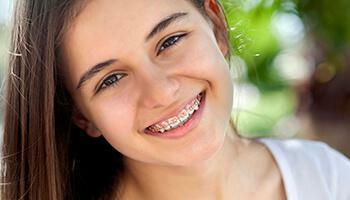 In the past, orthodontic treatment moved your teeth into their correct positions over the course of two stages. During the first year of care, the crown (the visible portion) of the tooth was gradually shifted, while the second year focused on the hidden root beneath the gum line. 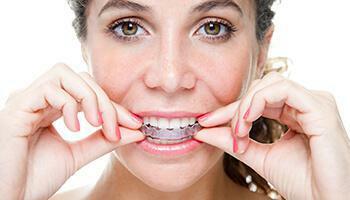 FASTBRACES, however, has completely flipped the script on this age-old process. This modern, patented system utilizes a triangular bracket and square wire to fix the positioning of both the crown and root of the tooth at the same time, realigning them simultaneously for a much speedier treatment time that creates the same transformative results. ✔ Now, there’s no longer any need to struggle through multiple years of wearing braces – FASTBRACES cuts down this time to anywhere from three months to a single year, and many patients will start to see impressive results in a matter of weeks! ✔ FASTBRACES have been around for many years, and their safety and effectiveness has been tested time and time again by leading universities in Europe, South America, and right here in the U.S.
✔ The short duration of care can result in less decay around the brackets and a much healthier post-treatment smile! ✔ Research has clearly shown that the low frictional forces of FASTBRACES can result in significant pain reduction among patients. ✔ After completing FASTBRACES, patients will only need to wear a retainer to maintain their results for 15-20 minutes each day. Like the name suggests, Invisalign is a virtually invisible option for straightening teeth without the need for noticeable metal braces! Patients will be provided with a clear, customized set of aligners, with each one being designated to represent a different stage of the smile as the teeth are gradually repositioned. These aligners are very subtle and conveniently removable, which means that there are no food restrictions to follow and no overcomplicated oral healthcare routines. Most patients are finished with treatment in just 8-18 months. Six Month Smiles is an excellent combination of proven orthodontic techniques and high-quality materials, allowing patients to straighten the teeth that show when they smile in record time – just six months on average! 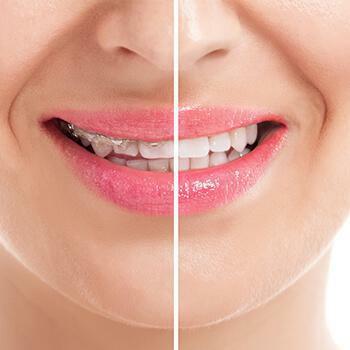 Better yet, the brackets are clear and the wires are tooth-colored so that your natural, confident appearance can stay intact over the course of treatment. If your front teeth are overly crowded, noticeably crooked, or widely spaced, don’t hesitate to ask Dr. Pierson if this service is right for you.